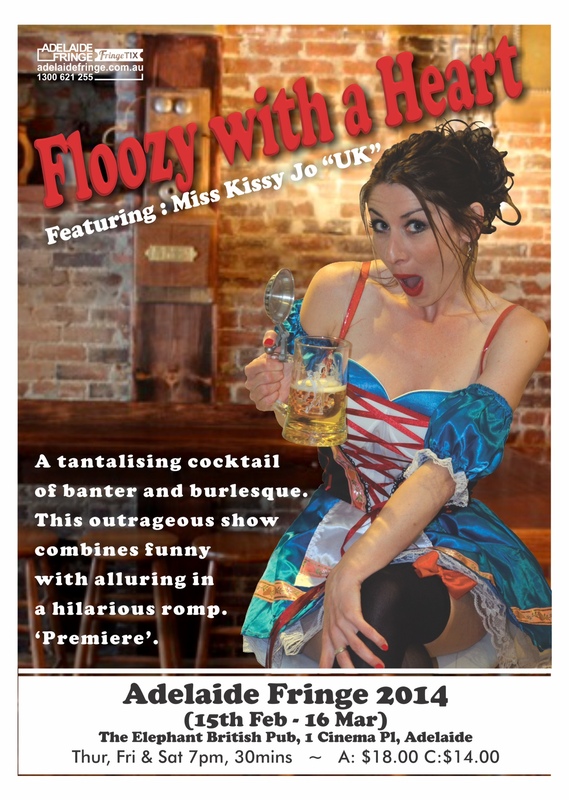 Performing at the 2014 Adelaide Fringe Festival and the 2014 Melbourne Comedy Festival as “Floozy With a Heart”. 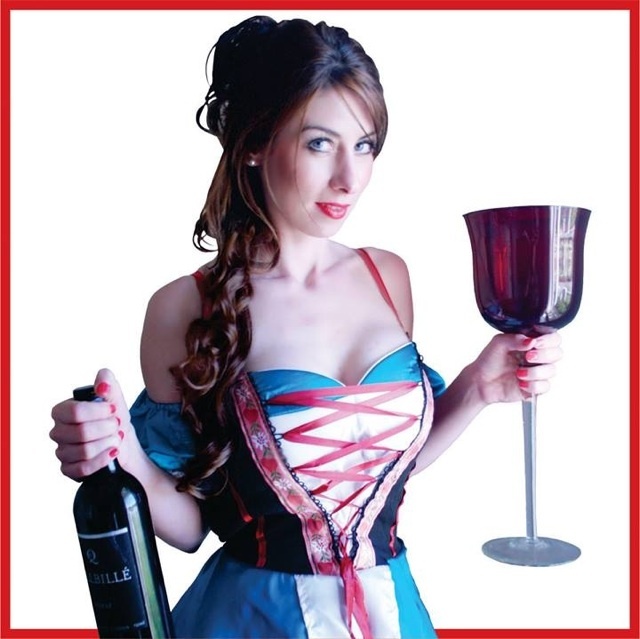 See London’s own saucy Miss Kissy-Jo in this flirtatious theatrical comedy. Baring her soul … and a little more … in a cosy British pub lock-in, this cheeky barmaid reveals life’s tales, tribulations, and classified pub secrets before shaking things up in provocative style. A tantalising cocktail of banter and burlesque: part jokes, part jugs. This outrageous show combines funny with alluring in a hilarious romp.